"Everything epic fantasy should be: rich, cruel, gorgeous, brilliant, enthralling and deeply, deeply satisfying. I loved it. 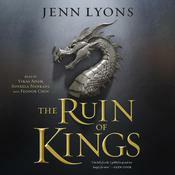 "—Lev Grossman, author of The Magicians Jenn Lyons begins the Chorus of Dragons series with The Ruin of Kings, an epic fantasy audiobook about a man who discovers his fate is tied to the future of an empire. When destiny calls, there's no fighting back. Kihrin grew up in the slums of Quur, a thief and a minstrel's son raised on tales of long-lost princes and magnificent quests. When he is claimed against his will as the missing son of a treasonous prince, Kihrin finds himself at the mercy of his new family's ruthless power plays and political ambitions. Practically a prisoner, Kihrin discovers that being a long-lost prince is nothing like what the storybooks promised. The storybooks have lied about a lot of other things, too: dragons, demons, gods, prophecies, and how the hero always wins. Then again, maybe he isn't the hero after all. For Kihrin is not destined to save the world. He's destined to destroy it. “It was one hell of a ride. I gobbled it up and was hungry for more. 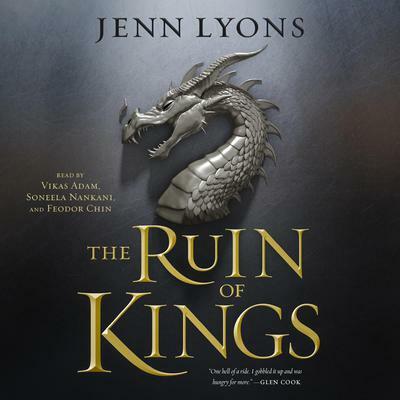 —Glen Cook, author of The Black Company"The Ruin of Kings revs up with the glitz of a high-speed, multi-level video game, with extreme magic and a teen hero with angst. Jenn Lyons is the director of an indie game company, Pixel Constructor, based out of Atlanta. She previously worked on The Saboteur and Lord of the Rings: Conquest at EA Games.